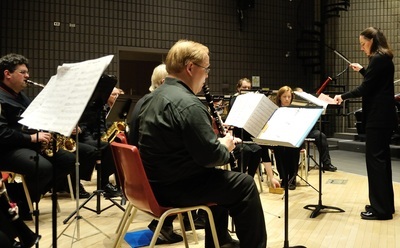 May 25/19: ‘Stage & Screen’ Spring concert with guests, Marymount Academy. Dec. 16/18: Seniors' concerts at the Walford & Southwind. 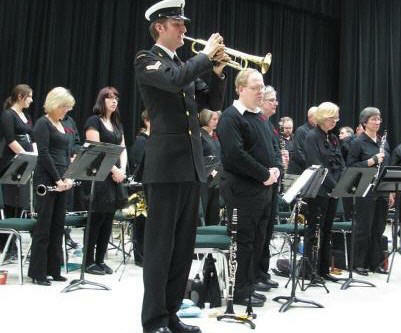 Nov. 10/18: Remembrance concert at Lockerby Composite. ​June 16/18: Seniors' concerts at the Walford & Southwind. 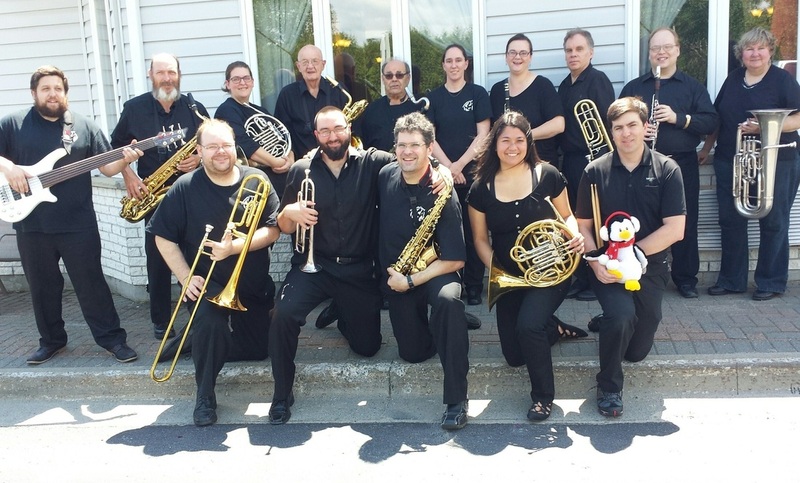 June 2/18: Spring concert at Lockerby Composite, with special guests: ﻿North Winds Quintet﻿. March 1/18: We competed in NomFest again this year--winning a gold medal! 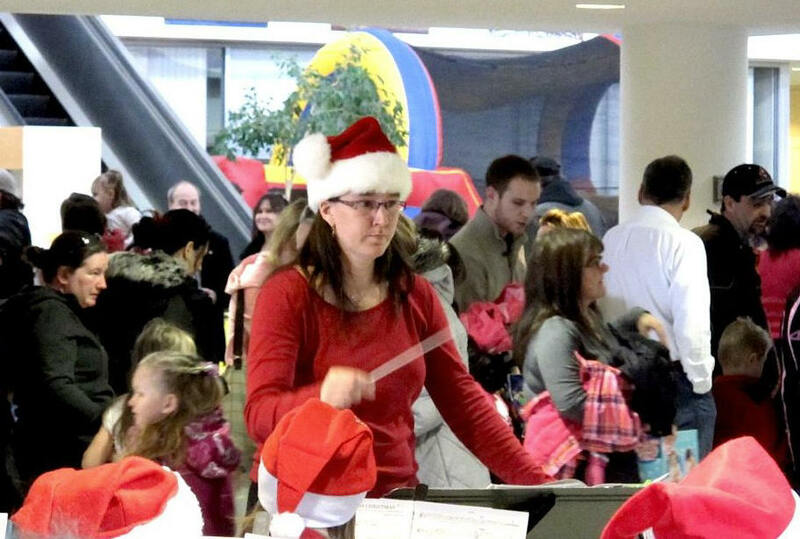 ​Dec. 7/17: Xmas concerts with Lo-Ellen bands. Dec. 10/17: Seniors’ Xmas concerts at the Walford & Southwind. June 11/17: Afternoon seniors’ concerts at the Walford & Southwind. 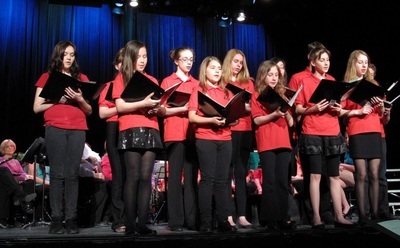 May 13/17: Spring concert at Lockerby auditorium; guests: Young Sudbury Singers. 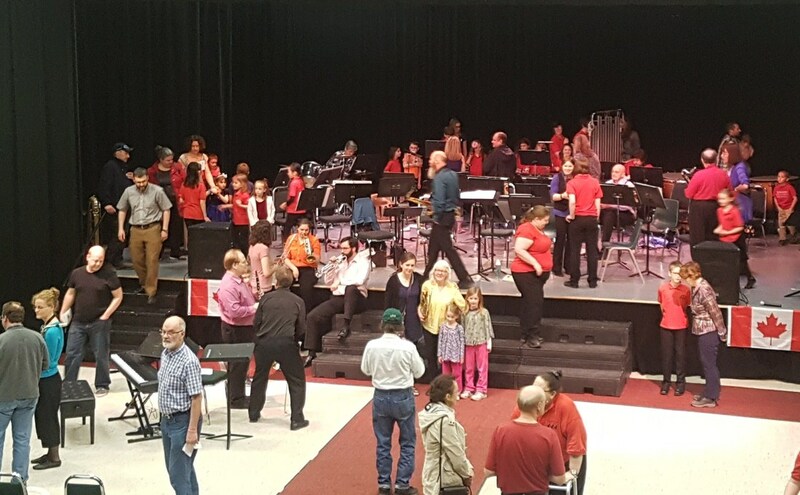 March 22/17: NomFest at Sudbury Secondary. 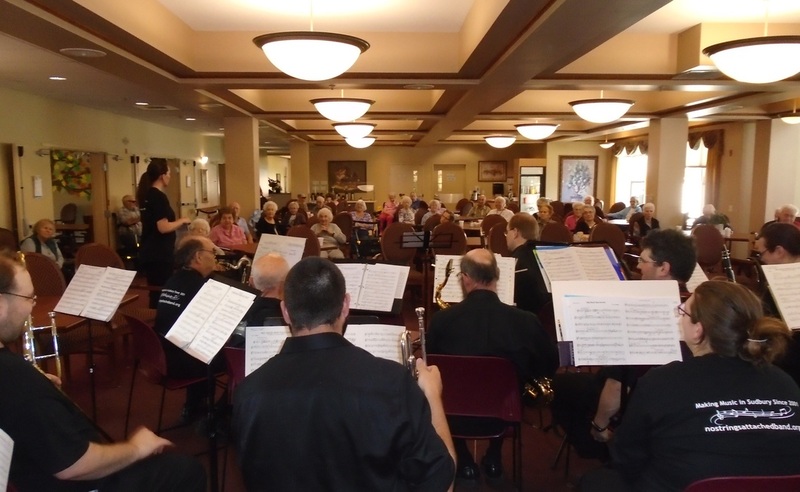 June 11/16: Afternoon seniors’ concerts at the Walford & Southwind. May 29/16: Sunday afternoon Spring concert at Cambrian College. March 8/16: We competed in NomFest again at Sudbury Secondary - earning a “Silver Plus” medal (attendance: 35). 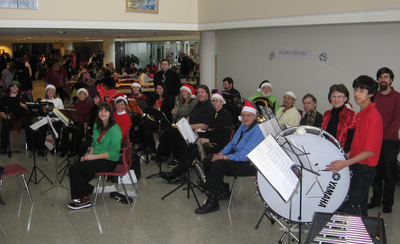 Dec. 12/15: Xmas seniors’ concerts at the Walford & Southwind. 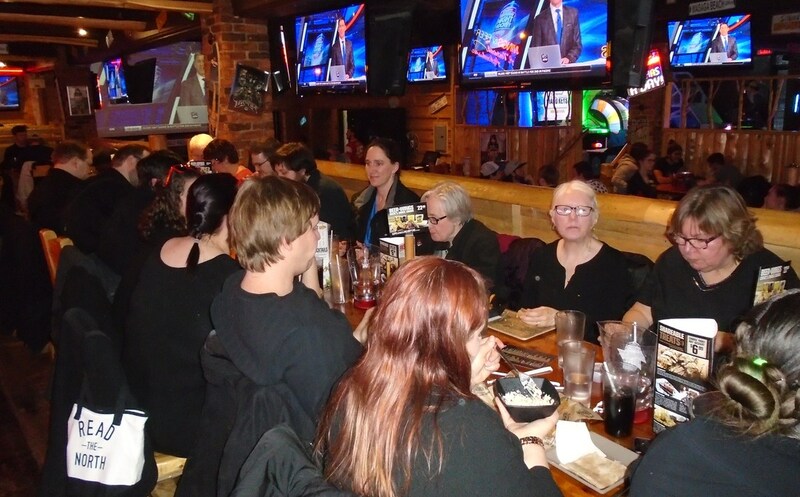 Nov. 12/15: There were approx. 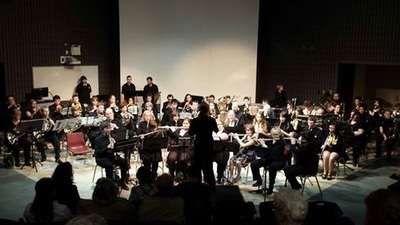 35 folks at Cambrian for our 1st performance of the season--a Remembrance Day-themed concert; with proceeds going towards the Legion Poppy Fund. May 31/15: Sunday afternoon American-themed concert at Cambrian College; with special guests, the Marymount Academy Senior Band. 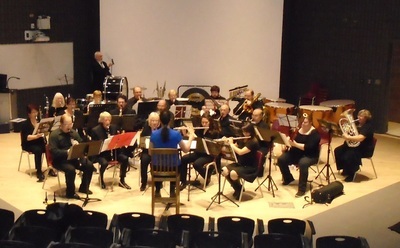 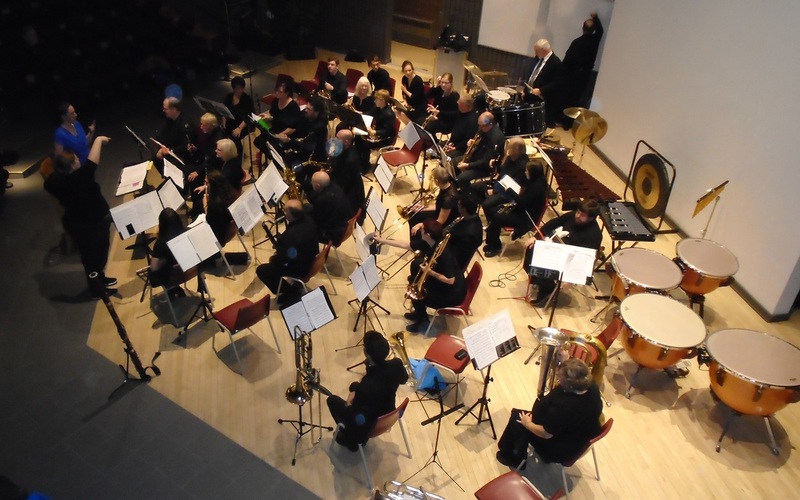 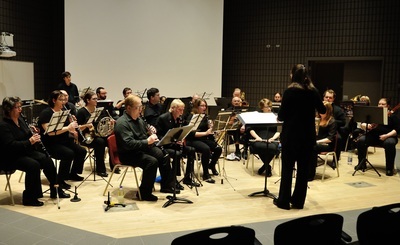 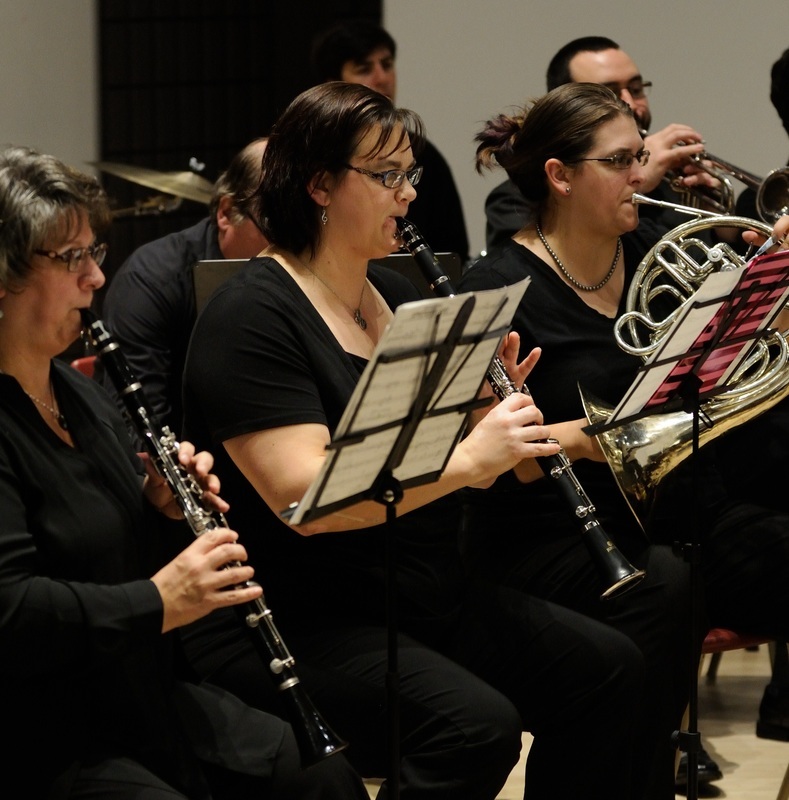 March 27/15: We performed with the LU Concert band, directed by Sally Lesk, at Lockerbywww.lockerby.net/ Composite. 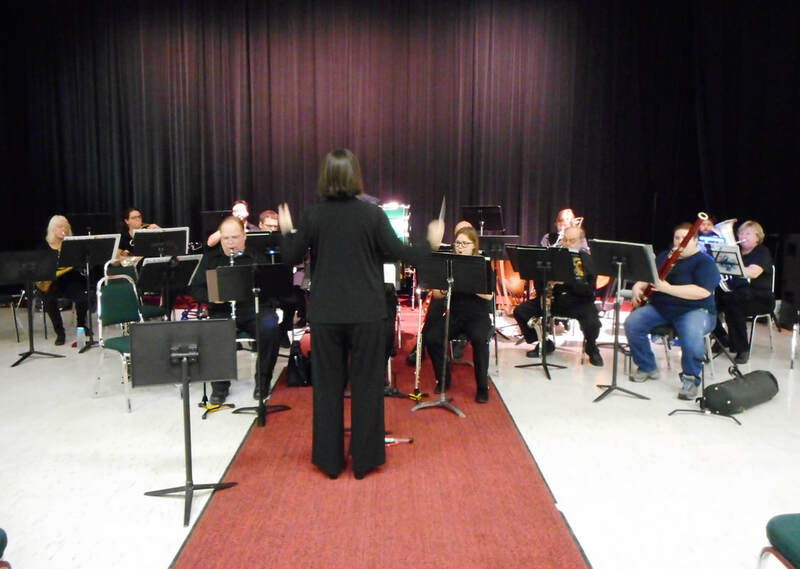 Feb. 24/15: We performed our three NomFest pieces above at Lasalle Secondary, along with various other Lasalle ensembles. 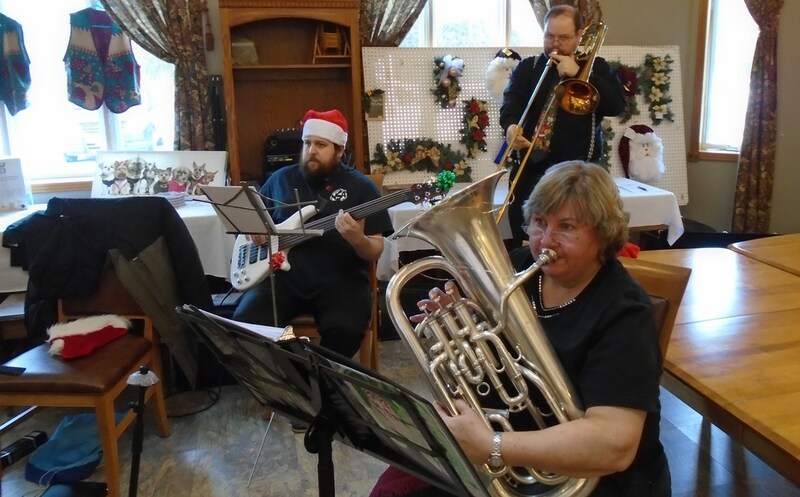 Dec. 7/14: Sunday afternoon Christmas concert at the Southwind Retirement. 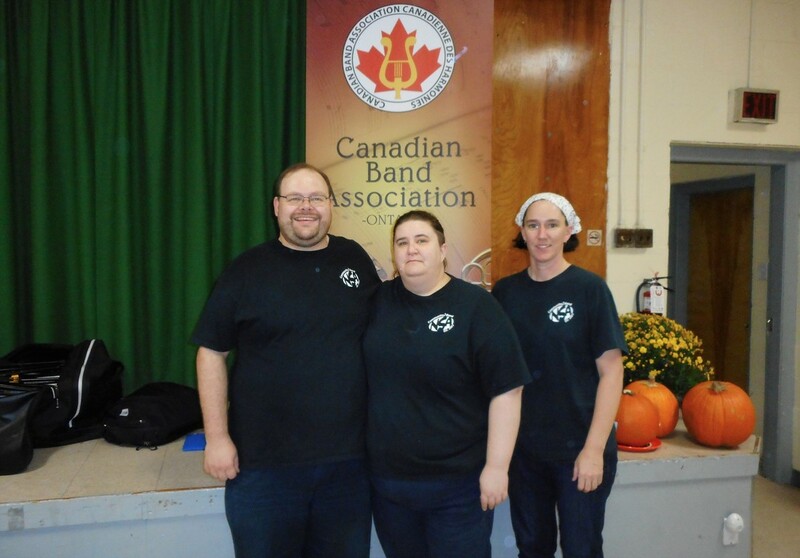 Nov. 2/14: We performed a Halloween-themed concert at Cambrian College with proceeds going towards the Elgin St. Mission. 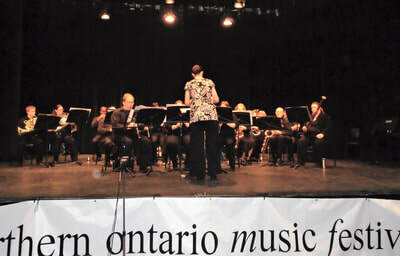 To view a video of one of the selections from this concert click here. May 27/14: An evening concert at the Southwind Retirement Residence. 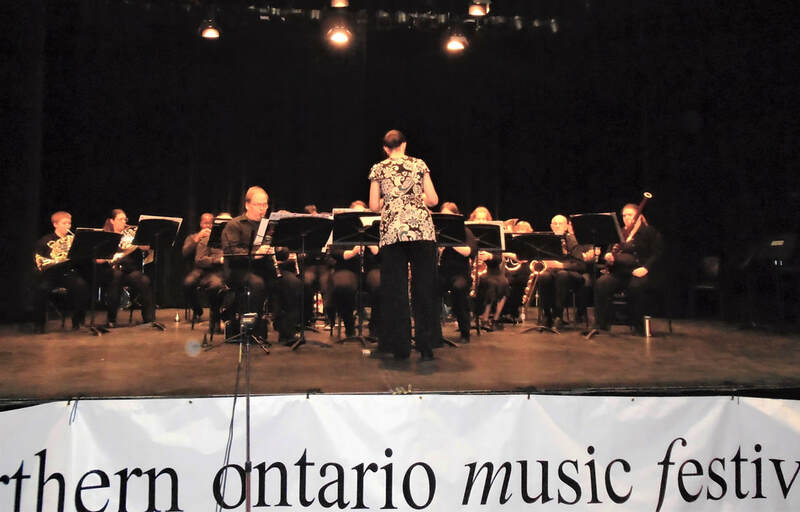 May 4/14: Afternoon concert at Finlandia Village. Apr. 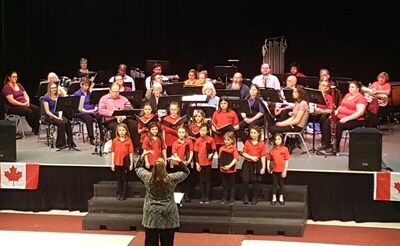 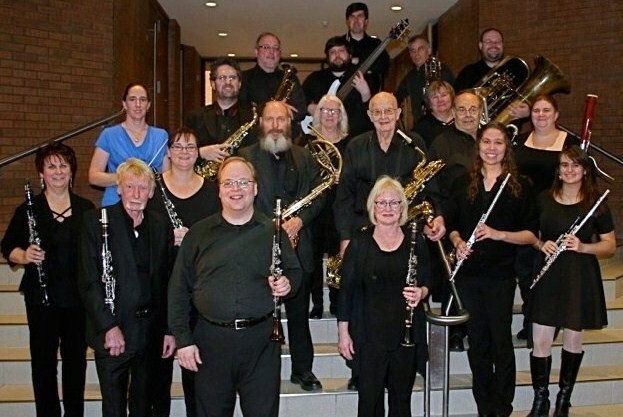 13/14: We held a Sunday afternoon concert entitled "Music Brings Us Together," featuring the Northern Brass Choir & the Manitoulin Secondary School Band/Choir at Cambrian College (profits from donations at the door going towards the Joan Mantle Music Trust fund & Northern Brass). 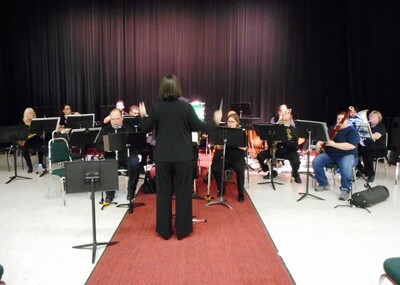 Feb. 27/2014: No Strings competed in NomFest again this year at Sudbury Secondary, earning a gold medal. 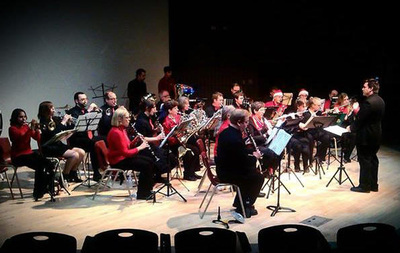 Nov. 24/13: We held a combination Christmas & Remembrance Day themed concert at Cambrian entitled "Christmas in the Trenches." Our special guests were the Royal Canadian Sea Cadet Corps: Admiral Mountbatten Drum & Bugle Band. 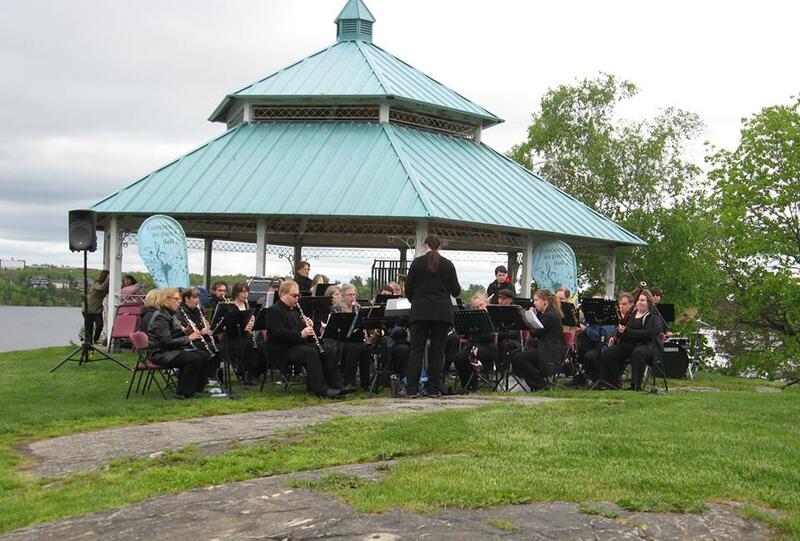 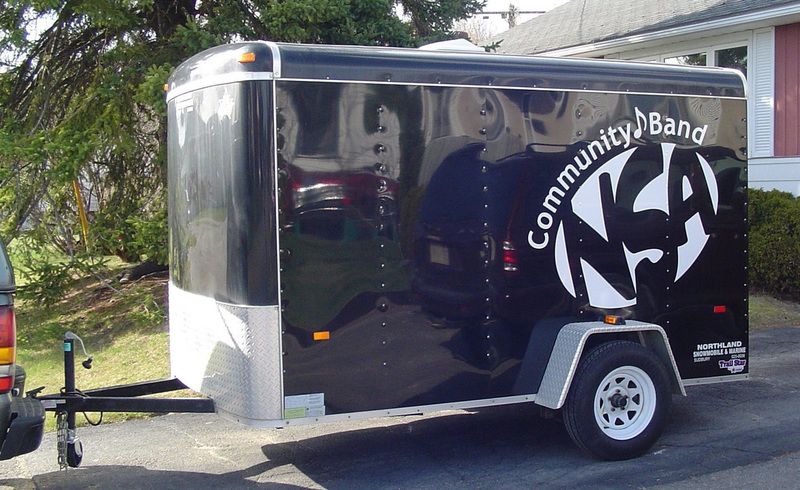 June 2/2013: No Strings performed an evening concert under cold windy conditions at the Bell Park Gazebo. 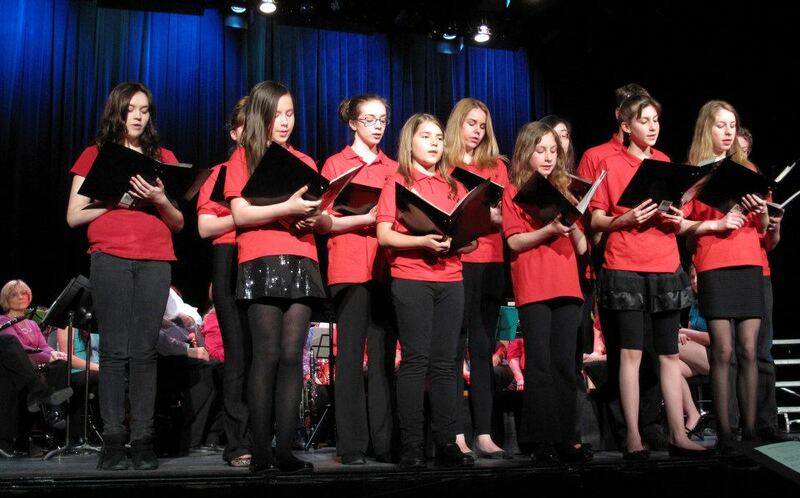 Click here to view a video of our performance of Chris Hadfield's "Is Somebody Singing?" 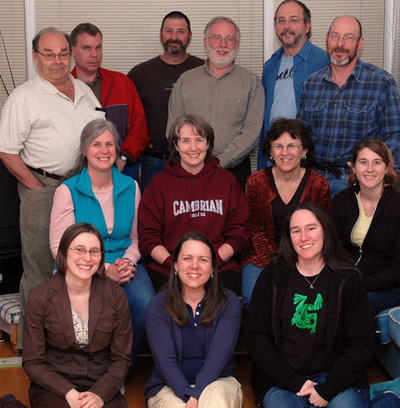 (I.S.S.). 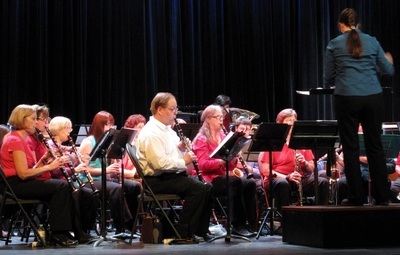 Click here to view our performance of our "Pirates of the Caribbean" movie medley. 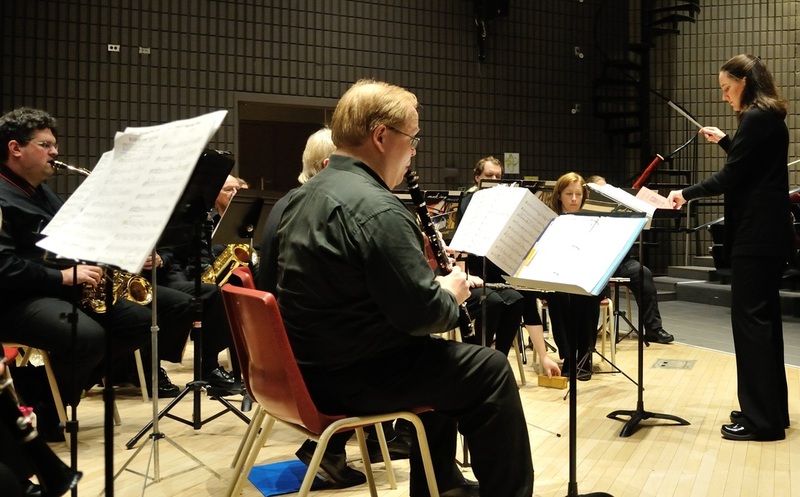 Dec. 21/12: Both the NSA Woodwind Quartet & the NSA Sax Quartet performed a Friday evening concert held at St. Andrew's Place. 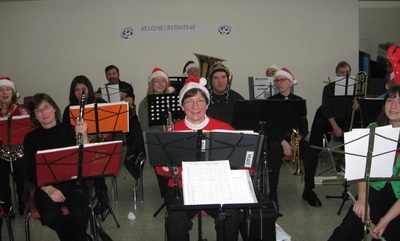 Dec. 9/12: We performed Christmas selections once again at the Sudbury Tax Centre's annual Sunday afternoon Christmas party for staff & family! Nov. 8/12: Our Remembrance Day theme concert, conducted by Erin Morel & featuring poetry readings, was held at Lockerby Composite. 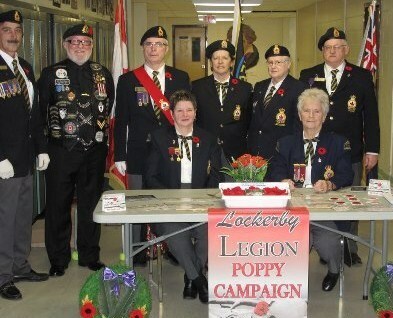 Proceeds from donations at the door went towards the Lockerby Legion (#564) Poppy Trust Fund. 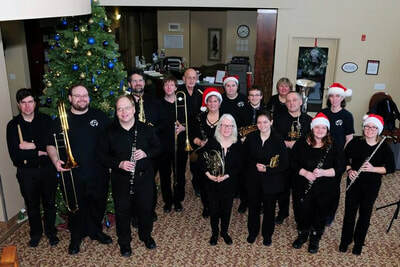 ​Dec. 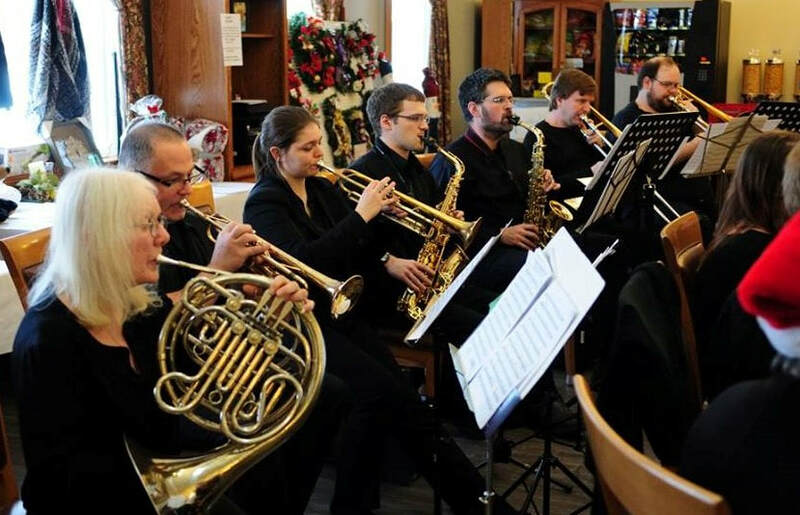 2/12: The No Strings Woodwind Quartet performed in front of 200 folks for the Knights of Columbus at the Dr. Edgar Leclair Community Centre in Azilda. The Knights gave $200 to No Strings, which was promptly donated to the Samaritan Centre. 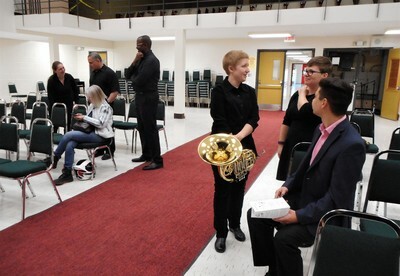 May 30/12: We held our Spring concert at the Lockerby auditorium. 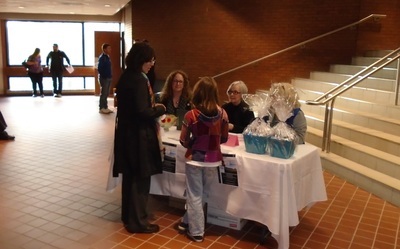 Proceeds from donations at the door went towards Warmhearts Palliative Caregivers. 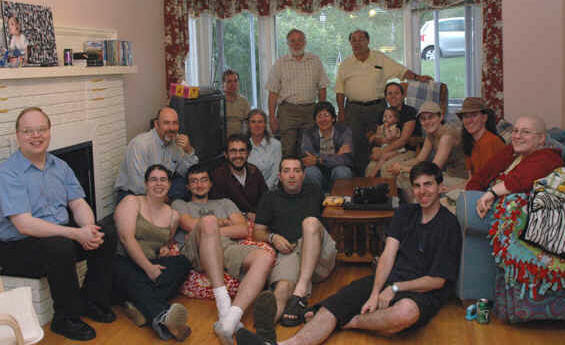 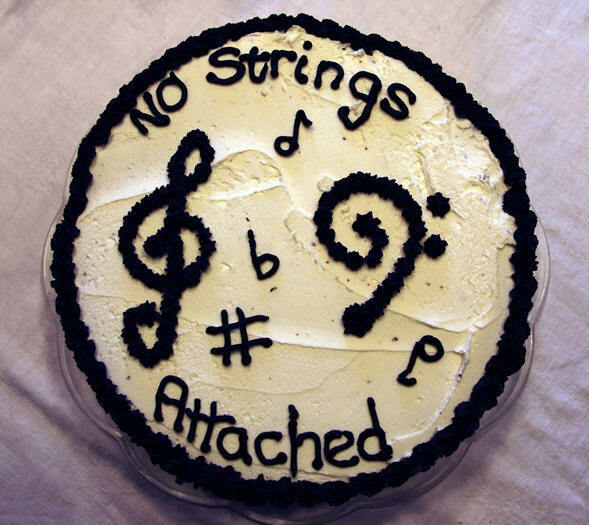 May 26/12: The "NSA Woodwind Quartet" performed once again at Adanac for about 100 folks for the Junction Creek Stewardship Committee, and then for about 150 folks at the Calvin Presbyterian Church's "Sharing the Love" concert on June 24th. 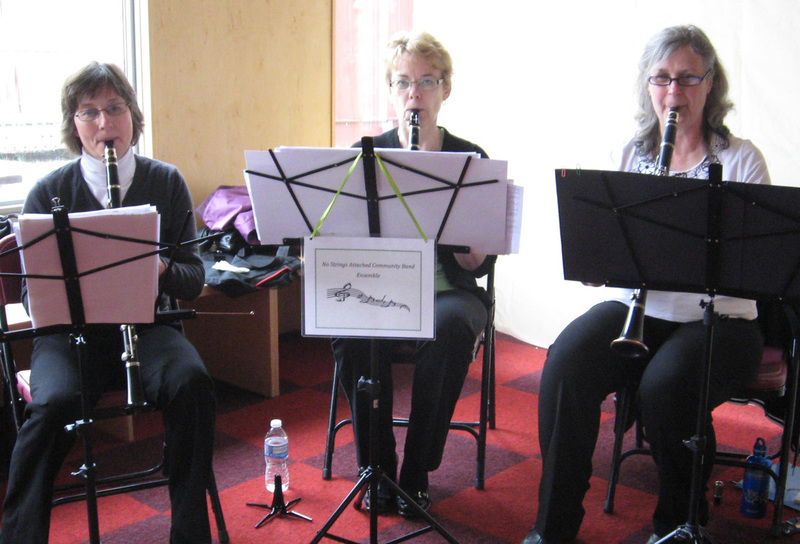 Dec. 18/11: The NSA Woodwind Quartet performed a Sunday afternoon Christmas concert at the main branch of the Sudbury Public Library. 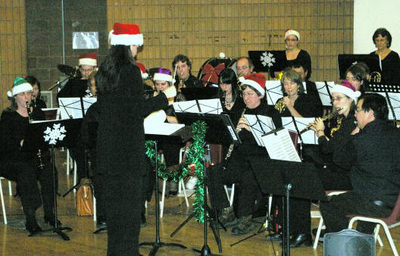 Dec.17th/11: We held our annual evening Christmas concert at the Cambrian College auditorium. Proceeds of $380 from donations at the door went to support Genevra House. 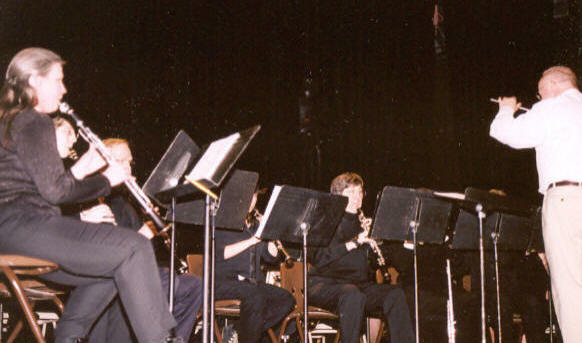 This concert also featured the NSA Woodwind Quartet. 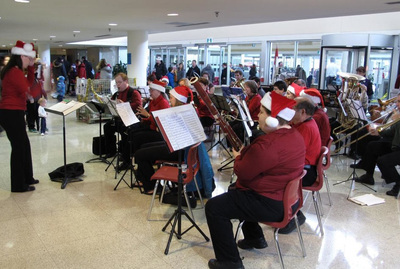 Nov. 27/11: With Linda conducting, we held a Sunday afternoon Christmas concert at the Sudbury Tax Centre for employees and their families. About 600 folks were in attendance to enjoy the food and music. 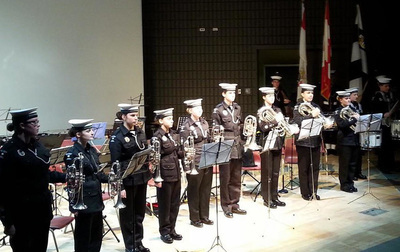 Nov. 10/11: We held a "Remembrance Day" concert at the Lockerby auditorium. There was a mix of music & readings, with donations going towards the local chapter of the Military Family Support Groups. A brief video depicting our trumpeter Rob Harrison performing "Last Post" during this concert can be viewed by clicking here. 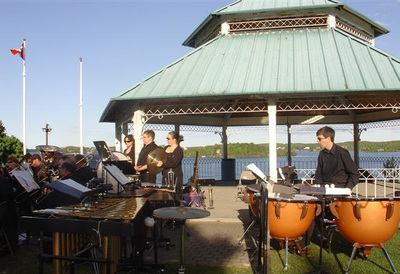 July 14/11: Thanks go out to the Sudbury Community Foundation for awarding No Strings with a grant of $150 to help us purchase a new timpani head & sheet music!! 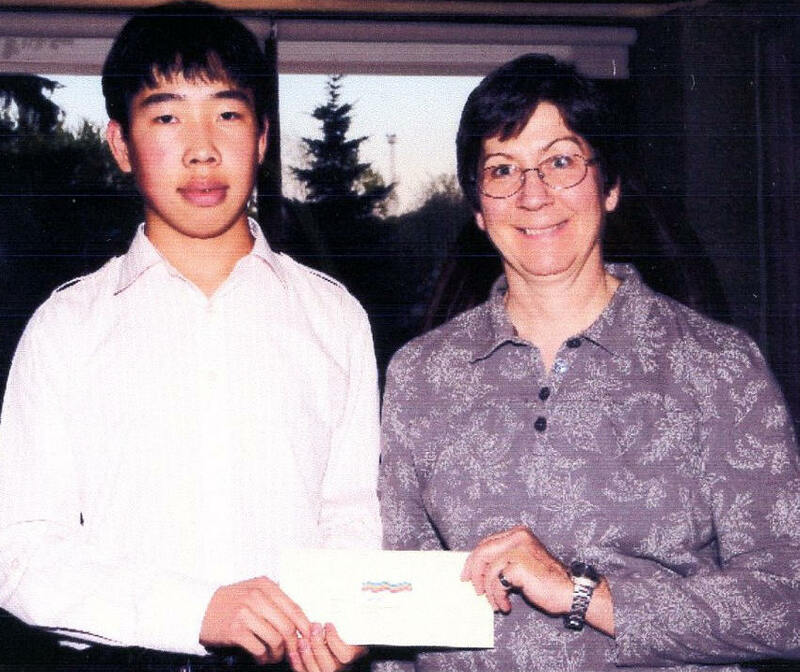 The three recipients of our $100 student bursaries for the 2010/11 season are: Isabella Izumi (Lo-Ellen), Katrina Malinski (Lockerby), & Tanner Moroz (Lasalle)...Congrats! 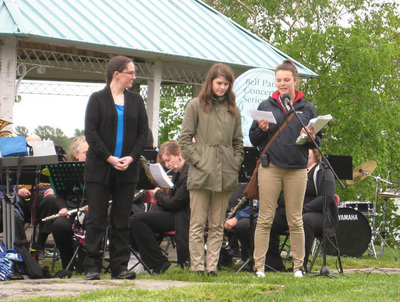 May 14/11: "The No Strings "Ladies' Clarinet Trio" performed at the "Junction Creek Festival and Trout Release" celebration, held at the Adanac ski lodge. 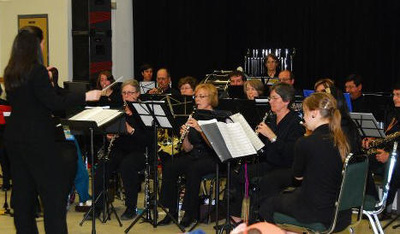 They went on later to perform at the Calvin Presbyterian Church's "Sharing the Love" concert on June 26th. Dec. 16/10: We performed at Lo-Ellen's annual Christmas concert, along with the Lo-Ellen stage/concert bands. Dec. 12/10: Sunday afternoon Christmas concert for employees & family at the Tax Centre. Nov. 11/10: We held a Remembrance Day evening concert, which included poetry readings, at the Lockerby Composite auditorium. 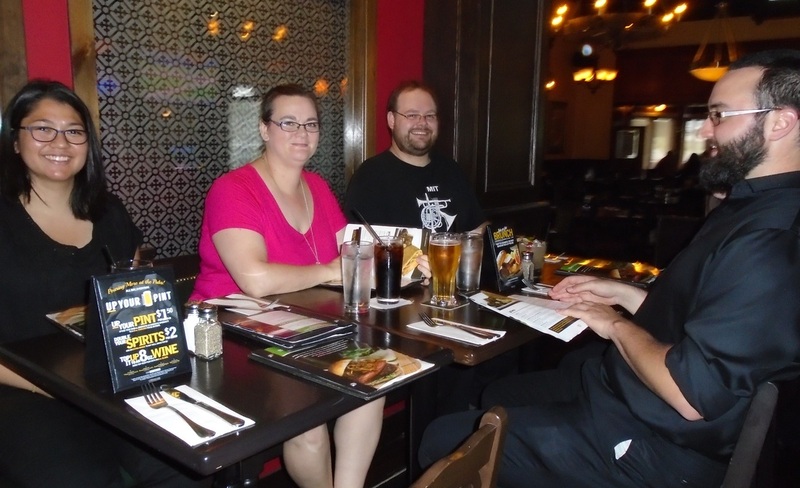 Proceeds of $350 were donated towards the Military Families Fund. 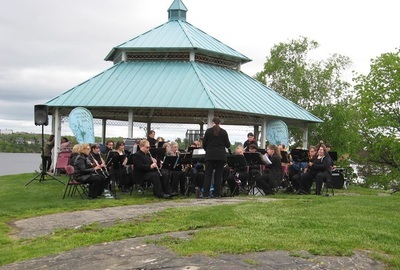 June 6/10: We held our 2009/10 season's final concert on June 6th ("D-Day") at the Jubilee Centre on Applegrove St with proceeds going towards the Joan Mantle Music Trust. Bursaries: On April 7th, Chantal Girard, an alto sax player in her 3rd year at Cambrian College, was awarded our band's annual $200 bursary, which was handed out at Cambrian's Annual Senior Awards Competition. Meanwhile, David Cai, a grade 10 student and saxophonist at Lo-Ellen, was awarded our annual $100 Kiwanis Music Festival bursary. 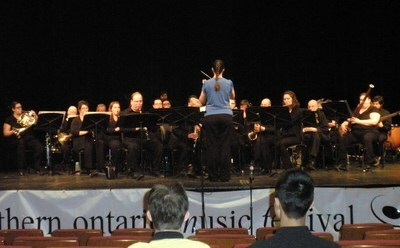 March 4/10: We competed in NomFest again at Sudbury Secondary School; earning a silver standing. 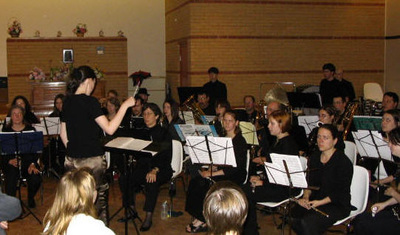 This was only our second time competing in the Festival (the first time was back in 2005).